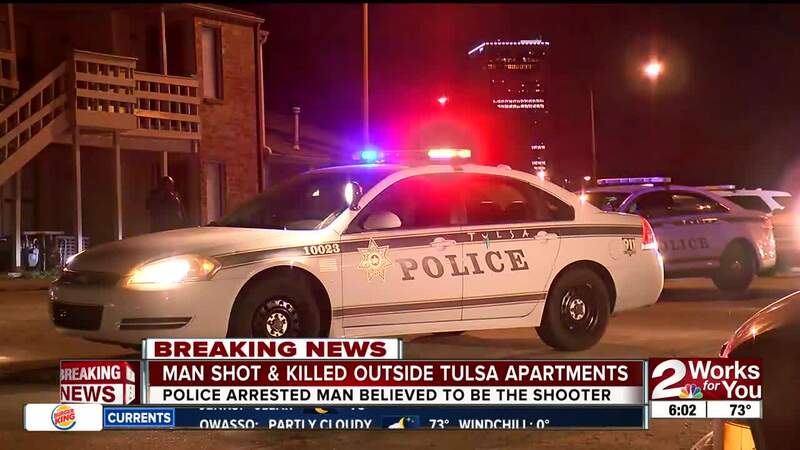 TULSA, Okla. - Police are investigating a deadly overnight shooting near downtown Tulsa. Officers arrested a suspect who was questioned at the police station. He has been identified as Jessdun Markham. Markham was arrested on a count of first-degree murder. The call went out a little after midnight on Wednesday. Police responded to a shooting at Sunset Plaza Apartments near the OSU Tulsa campus near downtown. At the scene, officers found a 26-year-old victim, identified as Dequelon Penn, dead from multiple gunshot wounds, in the doorway of an apartment. The suspect was arrested after police found him hiding on top of a YMCA building a few miles north of the apartments. One person reportedly told officers she saw what happened and was also questioned.